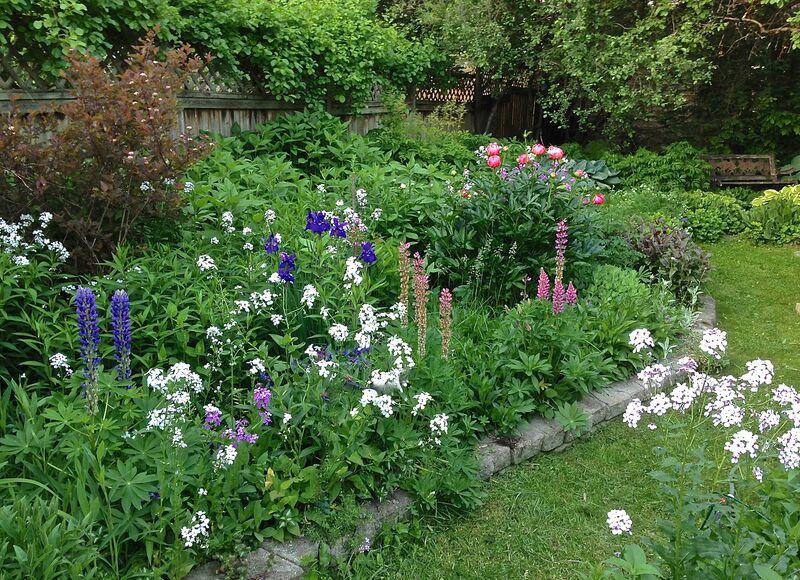 This is a hastily written post as a very kind article on The PD Gardener written by Louise Rachlis appeared in the June 8 edition of the Ottawa Citizen page C7. I knew it was in the works and that it would contain a reference to my blog, so I thought that perhaps I should have an up-to-date entry here. Of course, things get in the way, and if you have been following my blog at all, you know that it is not a straightforward conversation. There are often many twists and turns, a few dead ends and many questions left unanswered. Suffice to say that, on the one hand I apologize for not having a current blog post for you to digest. On the hand, I don’t apologize because I have been gardening. The garden exploded with new growth in an accelerated fashion. This Parkie guy had a hard time running to keep up with the pace the plants set. Gardening is, of course, my passion and therapy. These programs provide a mix of sequencing and structured movements specifically designed for persons with Parkinson’s. It pays tremendous dividends in the garden, as I can now work much harder! When you call hard labour “exercise” or “physiotherapy”, it is applauded and encouraged. When you just call it “hard labour” it is to be avoided and replaced with modern technology. In any case, I love this hard labour – whether in the physio clinic, the exercise room or in the garden. But … there is always a but…. I cannot achieve any goals I set without reliance on pharmaceutical advances. Others may claim they can, but I can’t … or at least not yet. Consequently, I have also been doing some gardening with my drug regimen. Adjustments are always being made. How many L-dopa per day? When to take them? How close to protein ingestion? What agonists to use? And we hope for the best as seldom does each day unfold in the same way as the previous day. I have recently moved to 8 mg of Rotigotine administered through a patch applied each day to one of many rotating sites on my body. It has been an excellent adjustment for me. Don’t get me wrong, it is not perfect and I still have to take levadopa pills but I now have more “on” times than “off” times. Before this it was getting pretty f—ked up. I have also been doing some minor gardening with my family by assisting in the preparation of a family reunion this summer. There are large portions of the family who have never met each other, and some who have never talked to one another for over forty years. There may be historical reasons why these people haven’t talked to one another in such a long time, but there are no good reasons for that to continue. We are looking forward to seeing and hearing what our family tree looks like as we gather near the end of July.